Why do chocolate and bananas get to have all the peanut butter fun? This great smoothie invites strawberries and, surprisingly, orange juice to the party. 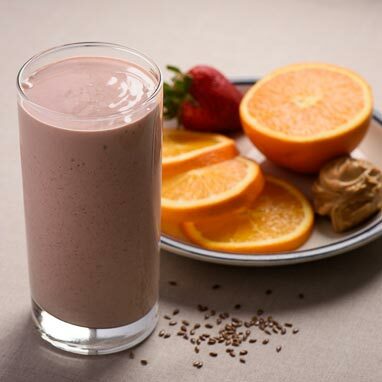 With tofu and peanut butter plus a little flax seed for fiber, you've got a full meal hidden in a delicious strawberry orange smoothie.